Show off your shape in this figure-worshipping midi skirt. 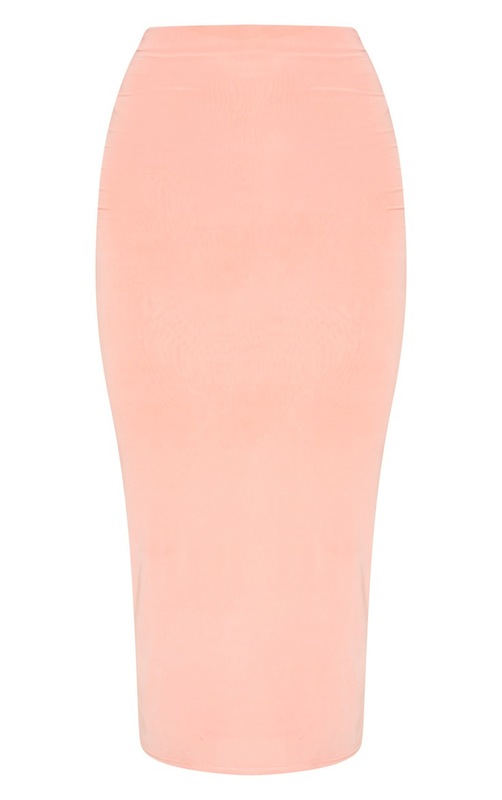 Featuring a peach slinky fabric with a long line length and figure-skimming fit, what's not to love? Style with the matching crop top and barely there heels for a night out with the dolls.